In SoCal, it seems like there is an auto mechanic on every corner, and many of them claim that they can operate on brands like BMW. Most of them are not being totally upfront with you. Chances are they will not have all the tools and the resources that they need to give your BMW the service that it deserves. They will cut corners, make assumptions, and overall, give your car substandard service. 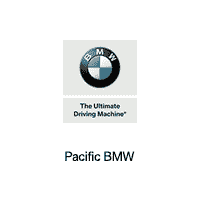 That’s not the case at Pacific BMW. We take the time to give your car the service that it deserves, and we will get you back out on the road right away. We treat you like a customer, not just another number. We know how important your BMW is to you, and we will treat it as if it were our own. We believe in complete transparency when we are performing service. That means, when we know something, you know something. We begin by explaining your service to you in as much detail as you want to hear, and we continue on through the service process until you get your car back. If you have any questions about the service or even the parts that we can provide in Glendale, then feel free to give us a call or stop by and see us in person.